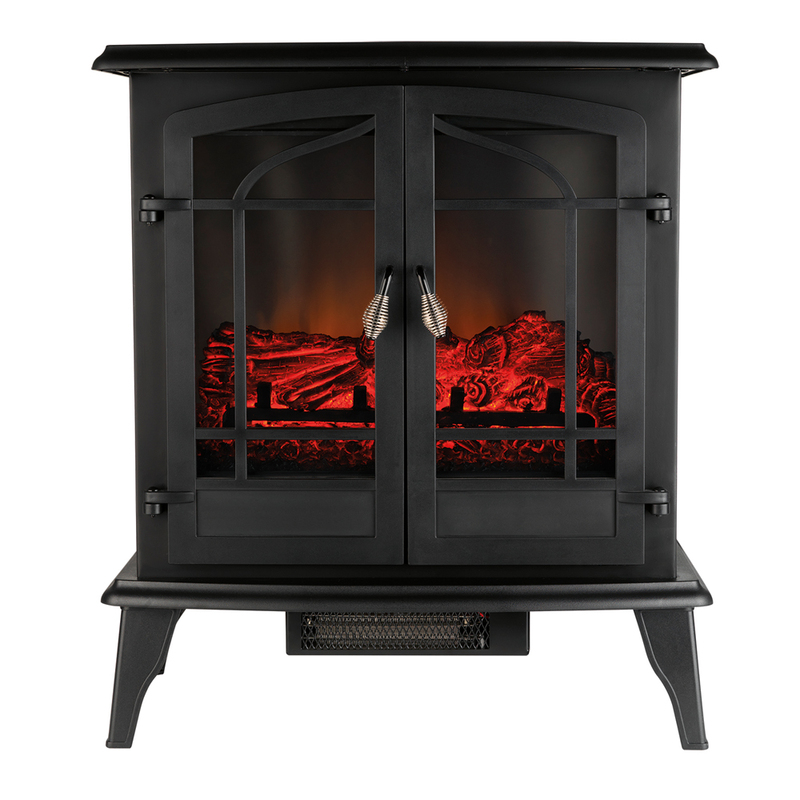 Not only will it keep you warm in winter, this beautiful free standing panoramic electric stove with glass windows will look lovely in your home. With a black cast iron effect finish it has a touch of sophistication, and will match almost any decor, while at 63.5 x 38.1 x 72.4 cm it will not be too obtrusive in the room. 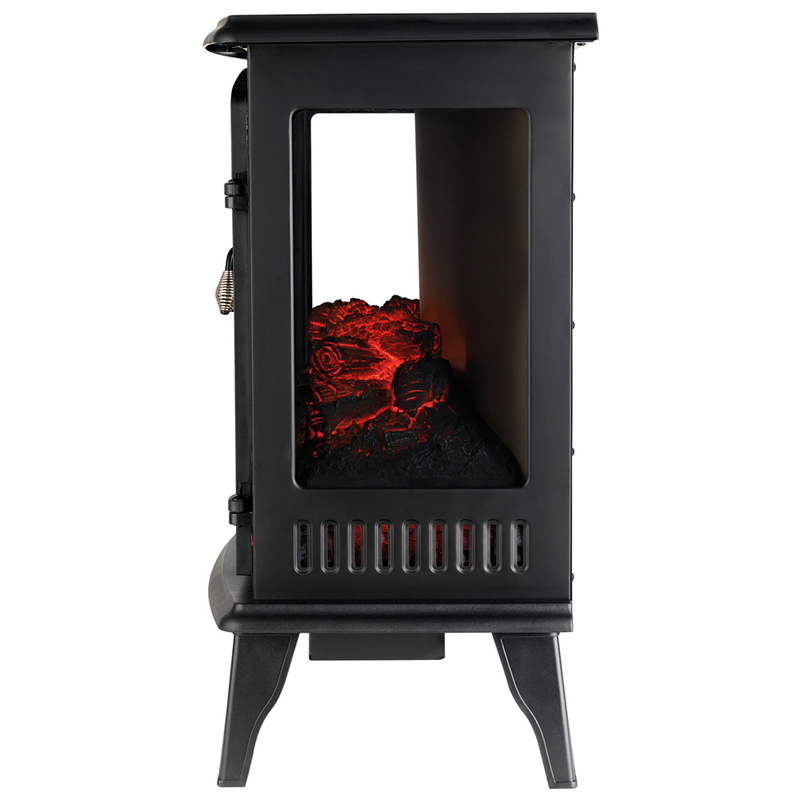 The front and side glass windows give a three sided viewing of the LED flame effect, which gives a lovely cosy feel without the hassle of having to maintain a real fire. 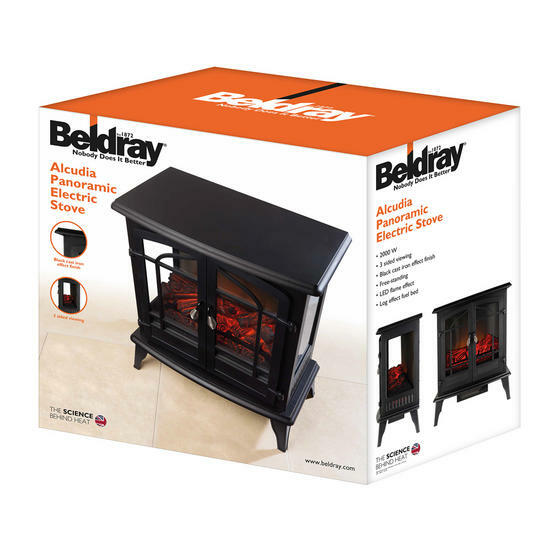 This free standing stove is electric with an LED flame effect, so it provides you with the cosy feel of a fire while being safer. Very simple to use and control, the electric stove simply switches on and off, which is ideal for warming up a room quickly. With an incredible power of 2000 W, the stove provides your home with a lovely continuous warmth that will not fade. Measuring 63.5 x 38.1 x 72.4 cm, it fits nicely in most rooms without being bulky so you have the option of tucking it into a corner.